NBC cut through the summer doldrums with the best week for a television network since the NBA Finals were seen on ABC two months ago. 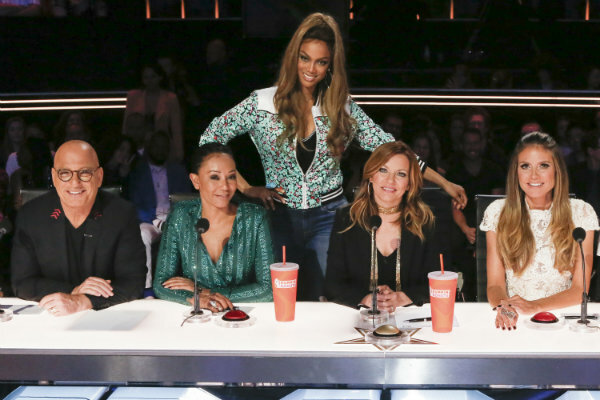 NBC was led, as is typical during the summer months, by “America’s Got Talent.” The competition show was seen by 11.8 million people last week, more than four million more than anything else on television, the Nielsen company said. Joining favorites like “American Ninja Warrior” and “World of Dance,” NBC added a new competition series in “Making It,” a crafting show co-hosted by former “Parks and Recreation” co-stars Amy Poehler and Nick Offerman. Its audience of 5.2 million people made it the most-watched new series of the summer, Nielsen said. Football, which will be a mainstay of broadcast network schedules through January, started its preseason with the Hall of Fame game, seen by 6.8 million people on NBC. NBC averaged 4.7 million viewers for the week, CBS had 3.8 million, ABC had 3.1 million, Fox had 1.9 million, ION Television had 1.4 million, Telemundo has 1.2 million, Univision had 1.1 million and the CW had 840,000. Fox News Channel was the week’s most popular cable network, averaging 2.34 million viewers in prime time. MSNBC had 1.58 million, USA had 1.38 million, HGTV had 1.36 million and Hallmark had 1.1 million. ABC’s “World News Tonight” topped the evening newscasts with an average of 7.8 million viewers. NBC’s “Nightly News” had 7.4 million and the “CBS Evening News” had 5.5 million. Below are primetime viewership numbers compiled by Nielsen for July 30-Aug. 5. Listings include the week’s ranking and viewership. 1. “America’s Got Talent,” NBC, 11.83 million. 2. “60 Minutes,” CBS, 7.54 million. 3. NFL Exhibition Football: Chicago vs. Baltimore, NBC, 6.77 million. 4. “NFL Preaseason Kickoff,” NBC, 6.57 million. 5. “Celebrity Family Feud,” ABC, 5.96 million. 6. “The Big Bang Theory,” CBS, 5.86 million. 7. “Big Brother” (Thursday), CBS, 5.62 million. 8. “Big Brother” (Sunday), CBS, 5.57 million. 9. “Big Brother” (Wednesday), CBS, 5.55 million. 10. “Young Sheldon,” CBS, 5.5 million. 11. “The Bachelorette,” ABC, 5.48 million. 12. “World of Dance,” NBC, 5.33 million. 13. “American Ninja Warrior,” NBC, 5.31 million. 14. “Making It,” NBC, 5.19 million. 15. “NCIS,” CBS, 4.96 million. 16. “The $100,000 Pyramid,” ABC, 4.85 million. 17. “Dateline NBC” (Monday), NBC, 4.62 million. 18. “America’s Funniest Home Videos,” ABC, 4.53 million. 19. “NCIS: New Orleans,” CBS, 4.31 million. 20. “Bull,” CBS, 4.27 million.